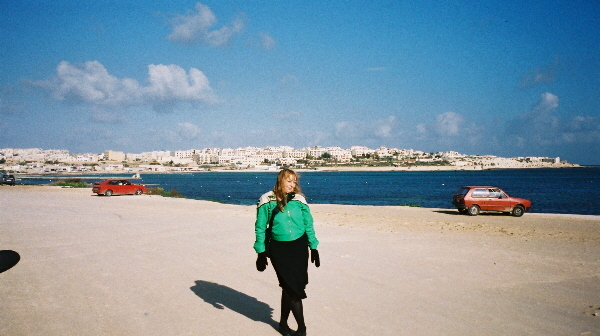 Over the last Christmas Holidays, my husband and I took a long awaited vacation to the Mediterranean island of Malta. It was originally supposed to be our honeymoon, but we couldn't wait to be married. 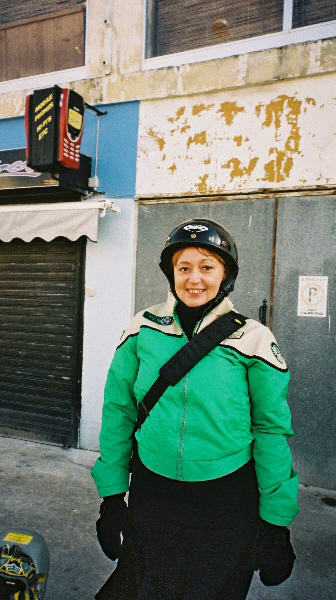 We hired a little scooter to get around, and it was a perfect mode of transportation. As you can see the roads were sometimes a little rough, and the weather was brisk, about 60 degrees, so we had to bundle up. 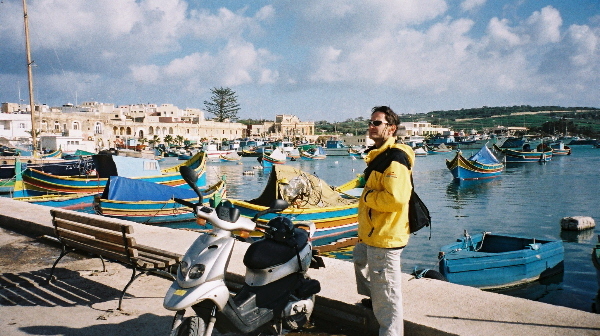 We visited some picturesque villages like Marsaxlokk. By the way "X" is "SH" in the Maltese language and they would call it pronounce it "marsashlock". Actually, we didn't find those sites very interesting, and that one had particularly expensive restaurants. 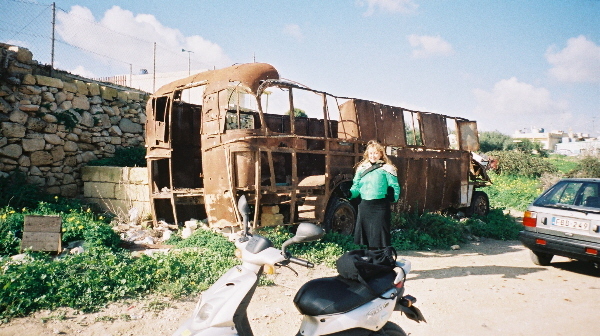 On that particular outing, we managed to find some weird stuff, like a burnt out bus. Can anyone say "White Trash"? That bus was on the side of this beach of St. Thomas Bay. The car was occupied by a Maltese couple searching for a secluded place to get together. 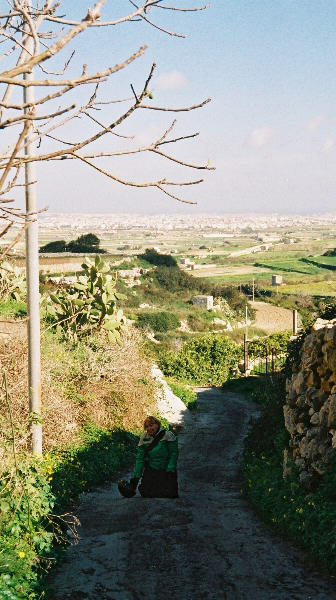 This is quite a problem for Maltese Youth, who usually live at home, and privacy is difficult to find, due the lack of unincoroporated land on this tiny island. In general, we preferred the countryside, and the tiny roads that run between tiny fields. All those little walls are there to keep water in the fields. 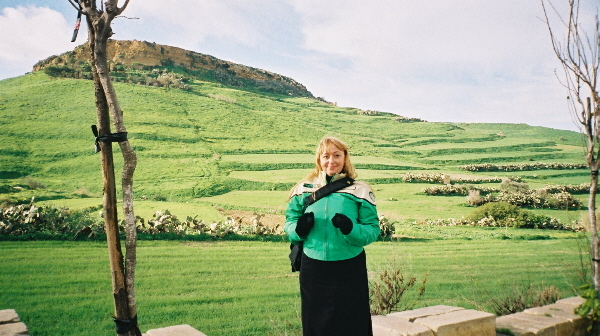 Malta's only natural source of fresh water is from rainfall. 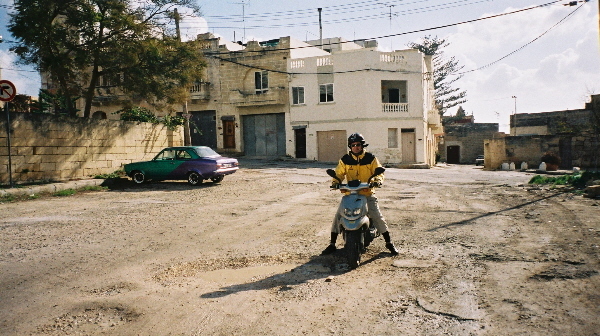 Malta has a lot of short steep hills, and once, I had to get off the scooter, because Ilan wasn't able to drive up with both of us on it. Here I am walking up this 20% grade. It reminded us of the "Muur de Grammont", which professional cyclists race in the Tour of Flanders, and which we visited earlier that year. 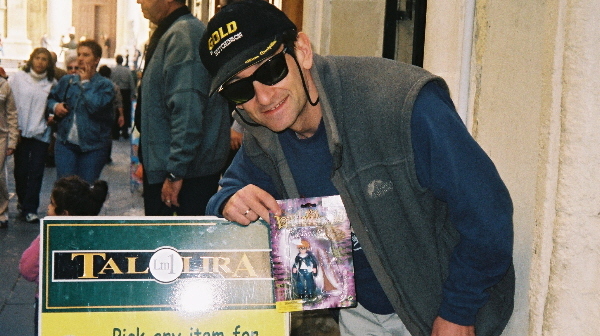 For Ilan, the big highlight of the trip was finding "Little Wizard" in a discount shop in Valletta. You may note the vague resemblance to Harry Potter, like the glasses, robes, wand, and broom. But that's a complete coincidence, the Harry Potter name doesn't appear anywhere on the box. We stayed at the Castille Hotel in downtown Valletta. The room was great, all our meals were included, and it didn't cost much. The service at the hotel was good too. 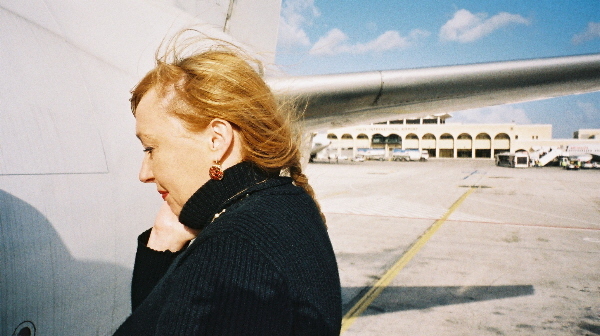 Here I am taking the plane back to Paris. Goodbye Malta!